Recently on my Face Book group that I have for Beginners Fab Tv, there was a conversation, well… more of a debate as to wether or not you should weld cast materials. I guess, even more specific, the conversation was if you should weld mild steel tabs, and fabrication components to cast iron, or cast steel. Honestly, that is a very personal question. There are a lot of people who say there is no problem welding on the cast components, and that they trust their life with them. Others say, that welding cast iron, should only be reserved for parts, components and projects that are not in any way, directly related with the safety of peoples lives. So, as you can see, the topic is very sensitive. However, debating those points of view is not our purpose in this article. 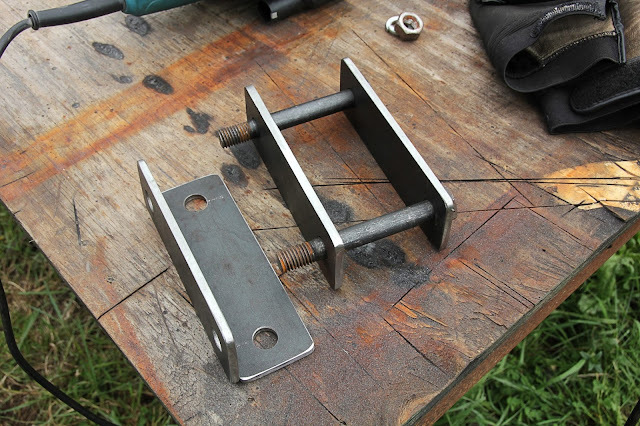 Instead, this article is focused on helping you find helpful information on how to weld cast materials in different ways. Below, there are videos on cold welding Cast iron in both stick and tig. 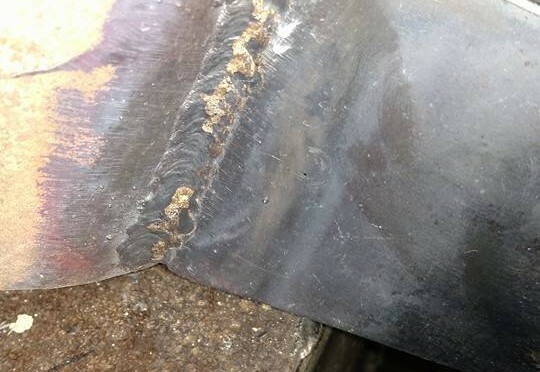 You will also find information on pre-heat welding methods for stick, and even a video on mig welding cast iron. I also included a video on welding mild steel to cast, just in case you ran into the need to do so. One common theme that you will here in all of these videos is the need for doing a spark test. Spark testing is a very important process of testing the material with angle grinder to see the color and intensity of the sparks coming off the material. Basically, if, while grinding the piece to be welded, you see sparks that are a bright yellow with a long spark trail, then you probably have a cast steel product. If while grinding the piece, you have a darker orange spark, can barely see any sparks and there is almost no visible spark trail, or the trail is very short, then the product is some grade of cast iron. You will see examples of this in the videos below. You will see that 3 of the videos below are from a youtube channel by ChuckE2009. He’s a young guy, but very talented, and very capable. He’s also very knowledgeable and not arrogant. He will show you his successes, failures, and always give you another idea to consider. ChuckE2009 has been formally trained and has even welded in some major Welding Companies display booths at large Fabrication Trade Shows. So, believe me, you can learn something from this young guy. In the first video here, ChuckE2009 is demonstrating the process he uses for welding cast with 308L S/S wire. He explains the gas he is using and the difference between what is commonly used with Stainless Steel wire, and what he has decided to use while welding the S/S wire on this particular Cast iron project. ChuckE2009 also shows you how he has his welder set up, the preheating process, and how he goes about controlling the cooling rate. This video title is pretty much self explanatory. He goes about explaining how he welds Cast iron to mild steel with the same 308l S/S wire, as in the video above, and while using his Mig welder. Unlike the two above videos, in this video, ChuckE2009 does a “No Pre-Heat” Cast iron welding method. While this method accomplishes a “seemingly” decent result, you will note that, in general, people tend to trust this method less than the more common “Pre-Heated” methods. I chose the following video from Lincoln electric as a featured video because they choose to show you another method that mixes 2 different methods in one. Some people will teach you that, if the base material is pre-heated, then you can just weld a normal cord/bead from beginning to end. Much like you would a mild steel project. However, while cold welding (Non Pre-heated) cast iron, many will say you should work at thermo control, or heat controlling your base materials. What was interesting to me though, is that in this video, Lincoln Electric not only preheats the material, but also goes about skip welding, or welding in short beads in separate location on the base material, until they can go back and weld next to a cooled weld. This keeps the base material from over heating. They also explain why it is so important to avoid over heating and a rapid cooling rate. A couple other things that I found interesting about this video, is that the instructor gives you a practical idea on how to control the cooling speed/Cooling rate, so that the Cast iron material doesn’t cool to fast and crack, for those of us who are welding at home. He also explains the differences between electrodes/welding rods that Lincoln offers for welding Cast Iron, and how you can choose the right one for your needs. While this article is really based on the needs of beginners to the fabrication world, I thought I’d throw this one in for good merit. This video is all about using a specific Tig wire to accomplish a “No Pre-heat” Cast Iron weld while Tig welding of course. Mr. Tig, explains thoroughly the process, what’s happening, what to look for, and what you can expect. Even though I don’t know how to Tig, and I’ve never even attempted Tig, I did think he explained the process very well. He also explain very clearly what you chances of success are while Tig welding, or welding in general, cast iron materials. These 2 article links are very informative, and I thought they might be of interest to the more seriously interested reader. I personally respect both of these sources a lot. So, I have no qualms about recommending these links. Cool to see you used one of ChuckE2009's videos for this. I've been a long time sub and I love his stuff! The welding process of arc welding involves a spark or an arc Get redirected here that melts the metal peaces to form a weld. hey thanks for these amazing tips.